Port Douglas Carnivale- Party Time! Every May for the last twenty years Port Douglas celebrates all things tropical with a huge festival called Carnivale. Carnivale is held over a two week period with many exciting events on offer. Port Douglas Carnivale is nirvana for those who enjoy gourmet foods, wines and local produce. Originally Carnivale was held to mark the start of the sugar harvesting season. Now it is just a great excuse for a two week party! Port Douglas Carnivale kicks off with the street parade on Friday 22nd May 2015 at 5pm. Local businesses and organisations put together fun filled floats and the parade is held on Macrossan Street. It is the opening event of the Carnivale and draws a crowd of thousands. Locals and tourists alike indulge in the fun and festivities of Port Douglas Carnivale. Food, music,the arts, tourism and community organisations are all represented and the evening culminates in a fireworks display. The street parade encapsulates the laid back tropical lifestyle we are fortunate to have in North Queensland. One of my favourite events held during the Carnivale calendar is the Seafood Extravaganza. Held at the Reef Marina, the Seafood Extravaganza is a day that celebrates the fabulous bounty of seafood available in the area. Local fishermen and trawlers offer their fresh seafood for sale and sampling and the Marina comes alive with music and fun. 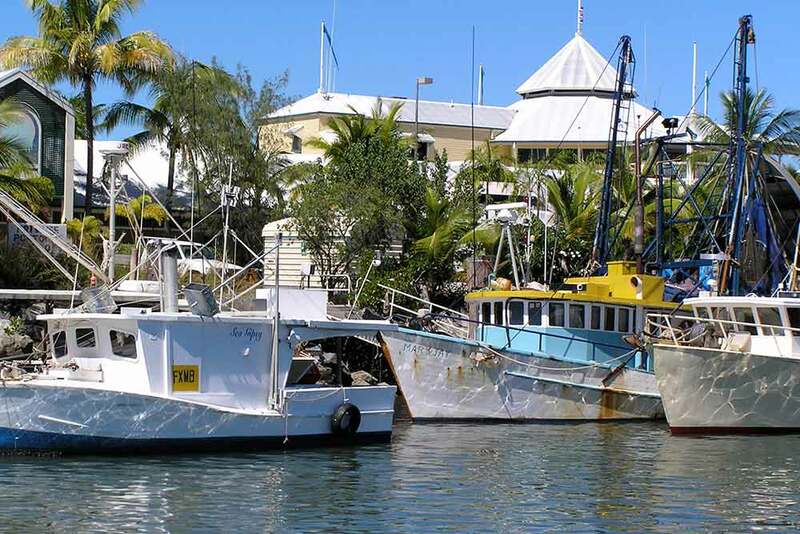 It is a great way to spend a Sunday of Port Douglas Carnivale, especially if you like your seafood fresh and local. Another favourite event of Carnivale is the Yabusame on the Beach. This year Port Douglas Carnivale will be hosting the Yabusame on the Beach event again. Horseback archers from all over the world will be competing on the flat white sands of Four Mile Beach. Yabusame is an exciting visual experience with many of the archers and horses adorned in traditional costumes. A great family event Yabusame is well worth a look. For more information on Yabusame please follow this link Yabusame on the Beach. This entry was posted in Food, Holiday tips, Port Douglas News and tagged Carnivale, families, fesitval, music, party, seafood.